One of the things that set CIP apart from most of the other think tanks in Washington, DC and the rest of the United States is that we truly are non-partisan, in that we are not affiliated with any political party. Additionally, most of the money we raise and we operate on comes not from corporations, but rather from individuals and foundations who believe in our mission of resisting American militarism and supporting human rights. We work with members of Congress on a consistent basis, as well as appear in the media in order to have an effect on American policy. Many of our members also conduct research on issues of militarism, human rights and social justice in order to help educate and inform the public and lawmakers. You were also senior official at the State Department as Director of the Study Group on Afghanistan and you provided reports that went directly to the Secretary of State of the United States. As an expert, how do you see the evolution of the political process in Afghanistan? The Afghanistan Study Group was part of CIP and not a part of the State Department. I was, however, a State Department official stationed in Afghanistan in 2009. Unfortunately, I have not seen any positive evolution or change in the political system or process in Afghanistan since 2009. What we have seen are three national elections that have been ruled to be grossly illegitimate and fraudulent by outside observers, but have been validated and supported by the American government through the presence of tens of thousands of soldiers and the spending of tens of billions of dollars. Most importantly, the political process, by being so corrupt, by seating successive governments that won by fraud and by disenfranchising various political communities, has alienated many, many Afghans, and not just those Pashtuns who ally themselves with the Taliban, from the government in Kabul. This has allowed for greater support for militia commanders and warlords outside of Kabul, as well as the Taliban, and has allowed the war to progress with no real hopes for reconciliation, negotiations or a cease fire any where in the near future. (By supporting and growing a kleptocracy, a system of have and have nots, that system has by its nature and necessity produced more people out of the system than people in the system every year. This causes resentment, grievances and a desire to share in the spoils and gifts of American occupation that leads to greater violence, more political chaos and a dearth of hope for the future). You have been the highest official to resign from your duties at the State Department. Can you explain to us what was the disagreement that led you to resign? You are a privileged witness as a diplomat and as a superior officer of the war in Iraq. You describe what happened during the intervention in Iraq as a vast racket.Can you tell us why? The amounts of money that were made on the Iraq war by American corporations and individuals were enormous. In terms of direct spending on the wars in Iraq and Afghanistan (the two are inseparable in many ways including in how the financing and the money making occurred), the direct costs of the wars are nearly $1.8 trillion dollars. Now these are just direct costs. Adding indirect costs of the war, such as healthcare for veterans and interest payments on debt, we see that the long term costs of the war may reach $6 trillion dollars. Again, this is just for the wars directly. At the same time the budget for the Pentagon this coming year will be $700 billion, which is 10 times more than Russia and 3 times more than China spend on their militaries, and this $700 billion does not include the money we spend on our intelligence agencies, healthcare for veterans, homeland security or interest payments for past defense and war debt (next year the United States will spend about $115 billion just on interest and debt payments for past wars and military spending). This money primarily goes to American corporations that then put money into funding politicians in Congress, as well as to funding think tanks and universities that help to promote the policies that foster and sustain America’s wars in the Muslim world and America’s massive military budget. This funding process is cyclical and the instability and violence that American militarism, intervention and occupation fosters and sustains is utilized as continued justification by American politicians and generals for more military spending. On a another level, what I witnessed by my presence in Iraq and Afghanistan, is that the mass amounts of money that are injected into these war zones fuel the corruption and that the massive amounts of money being received by those who are loyal or collaborating with the American forces provides no incentive for the Afghans or Iraqis working with the Americans to seek peace, reconciliation or a cease fire with their adversaries. So long as the Americans are keeping them in power and making them rich, there is no sense in pursuing an end to the conflict, an end to the American occupation/presence/influence or to seek reconciliation. You are a member of the Board of Directors for Council for a Livable World and an Advisory Board Member for Expose Facts. Can you explain to our readership what the missions of these organizations are? I’m sorry, but you must have seen an older biography for me, as I am no longer with the Council for a Livable World. I am, however, an advisory board member for Veterans For Peace, Expose Facts, World Beyond War and the North Carolina Committee to Investigate Torture. 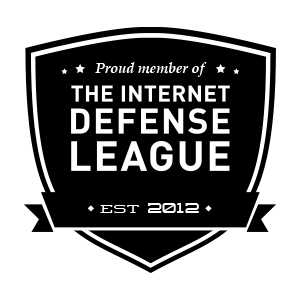 I am also an associate member of Veteran Intelligence Professionals for Sanity. All of these organizations seek to encourage peace and an end to America’s wars overseas as well as an end to the wars that we have in the United States, especially the oppression of people of color in the US. Veterans For Peace is an international organization dedicated to informing people about the true costs and realities of war. Expose Facts is an organization comprised of many former government officials who encourage whistleblowing and members of government, the military and corporations who are witness to wrongdoing to come forward and report this wrongdoing to the public. World Beyond War is an international organization devoted to restructure how our world is shaped and to get people to believe and understand that a peaceful world is possible. North Carolina Committee to Investigate Torture is the only organization of its kind in the US. It is the only organization that is devoted wholly to researching, documenting and publicizing the role of the state of North Carolina in the American torture practices under President Bush. The desire is to hold people accountable for the torture that was conducted. Yes, I could not agree with you more. When I first started speaking about the war I was allowed onto and into main stream media. I appeared on the main cable news networks and was published in major newspapers, but over the last decade voices of dissent, particularly those who are against war and imperialism have been dramatically marginalized from the main stream, or corporate owned press. In 2014, when I was arguing against a renewed American presence in Iraq, I was only able to appear on one cable news network and none of the major newspapers sought my opinion. The same occurred for many of my colleagues. Where we were successful in appearing on cable television news, CNN in my case, or being printed in major news papers and media outlets, we were outnumbered 5, 10 or 15 to one in terms of the voices and opinions that were pro-war. For example, when I appeared on CNN during that time, I was introduced as “the lone dove in a field of wolves” by the anchor (Brooke Baldwin). This situation, this echo chamber, of pro-war, pro-imperialism and pro-violence voices has only solidified and I know only a couple of people who have been able to get onto the major networks to argue against war and then they are outnumbered considerably and often drowned out by pro-war and pro-empire voices. I think that Trump going back on the nuclear deal with Iran was bound to happen. Trump is following the lead of the foreign policy establishment in the United States which is first and foremost committed to American hegemony and dominance. The preservation of the American Empire is the mission of most foreign policy experts in the United States, whether they are liberal or conservative, Democrat or Republican. Cooperation between nations, demilitarization and world wide respect for human rights is hardly ever a concern for the American foreign policy establishment. This is why we see the same bellicosity to North Korea, and let’s not forget both Barack Obama and Hillary Clinton have threatened to destroy North Korea themselves. I would go farther than that and say that our war culture and our society’s militarism is killing our Nation’s Spirit, just as it is killing people, the environment and our future both at home, in the United States, and across the planet. Tonight, I’ll be with Reverend William Barber and Jonathan Wilson-Hartgrove in Raleigh at The Gathering, the monthly meeting of Repairers of the Breach and the Poor People’s Campaign. This month Veterans For Peace, Iraq Veterans Agains the War and Code Pink are partners and I’ll be speaking. You can listen online or if you are in Raleigh you can join us. Tax payers in the United States have spent nearly $4 Trillion for wars since 2001 – money that should have been used to transform our nation. Just $1 Billion of our bloated military budget could pay for 12k elementary school teachers, 7k infrastructure jobs, 100k headstart spots for children, and 30k scholarships for university students. The moral question we must put before America is: What will make us safer? More and more and more money for building the mother of all bombs, money for jobs, education, healthcare, and infrastructure? We must choose community and peace over chaos and greed, recognizing that to fight against the war economy is to challenge the policies that advance poverty, and suppress democracy. This Sunday, Nov. 5 at The Gathering, we’re partnering with Veterans For Peace, Iraq Veterans Against the War, and CODEPINK to hear from people affected by militarism around the world on how we can join the struggle for peace. If you’re in North Carolina: RSVP here to join us this Sunday, Nov. 5 from 6-7:30pm ET at Pullen Memorial Baptist Church in Raleigh. If you can’t make it in person: Watch the livestream this Sunday beginning at 6pm ET on our website or Facebook. Make sure you share the stream on social media so the #PoorPeoplesCampaign can reach more people! The Gathering is a new movement resource by Repairers of the Breach, live on the first Sunday of every month in North Carolina and available via livestream and podcast. It’s co-hosted by us, Bishop William J. Barber II, Pres. & Sr. Lecturer of Repairers of the Breach; and Jonathan Wilson-Hartgrove, Director at School for Conversion. 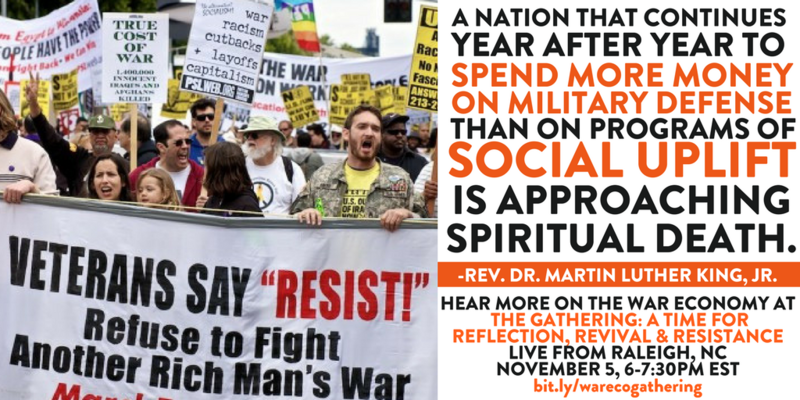 The Gathering aims to equip communities with resources for faithful reflection and public action on moral issues through an hour of storytelling, music, interviews with community organizers and impacted people, and a powerful call to join the Poor People’s Campaign: A National Call for Moral Revival. We hope to see you at The Gathering this Sunday, Nov. 5 in North Carolina or online via the Repairers of the Breach livestream! If you have any questions, please contact Rev. Erica Williams, Repairers of the Breach National Social Justice Organizer (ewilliams@breachrepairers.org). P.S. Did you miss last month’s powerful Gathering on climate justice? You can watch the video or listen to the podcast here. I also strongly recommend Reverend Barber and Jonathan Wilson-Hargrove’s book, The Third Reconstruction: How a Moral Movement is Overcoming the Politics of Division and Fear.